Panasonic AJ-HPX2100E (AJ-HPX2100, AJHPX2100E) SD/HD 2/3inch P2 Solid State Camcorder. 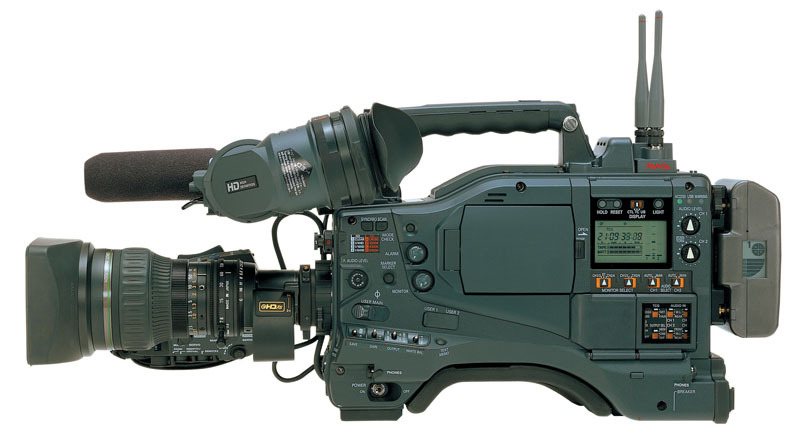 This 2/3″ HD camcorder from Panasonic features high sensitivity of f10 at 2000 Lux, native HD progressive 2/3″ 3-CCDs, 14-bit A/D processing, and the ultra-high reliability of P2 solid-state recording. This multi-format camera produces pristine high-quality images in 1080i, 720p, 480p, 480i, and 576i (a total of 17 HD and SD formats). The camcorder supports flexible compression rates including DVCPRO HD/50/25/DV as well as the new AVC-Intra codec. AVC-Intra offers comparable DVCPRO HD quality at half the bit rate, doubling the recording time per P2 card while lowering media storage and distribution costs. The AVC-Intra codec will offer two different record modes: AVC-Intra 100 for full-bit HD quality and AVC-Intra 50 for increased storage efficiency. This P2 HD camcorder offers innovative recording functions such as hot-swap, loop and pre-recording plus immediate access to recorded video with clip thumbnail preview for shot marking, playback and in-camera editing.